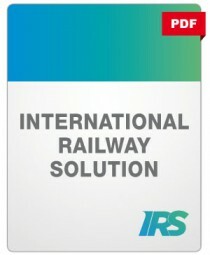 IRS 60673 is the fourth part of the Implementation of a High-Speed Railway series. It describes the relevant operating models and outlines the methods used to formulate operating and maintenance plans and estimate operating and maintenance costs. It also provides detailed descriptions of the various sub-systems, interfaces and design drawings, and outlines methods for preparing bills of quantities and calculating total costs.